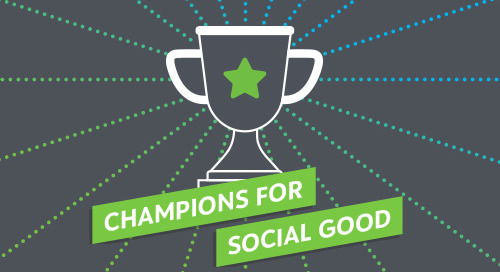 In this episode of the Champions for Social Good Podcast, Jamie Serino speaks with Vikki Spruill (@VikkiSpruill) President & CEO of the Council on Foundations (@COF_). Vikki discusses COF’s platform, “Leading Together,” that is focused on how foundations can come together, collaborate and leverage resources to magnify impact and advance social good. Vikki also talks about the work that COF is doing under three primary pillars: amplifying the work of foundations addressing pressing issues, advocating for legislation and regulations that encourage charitable giving, and strengthening the sector through a variety of programs that bring organizations together to advance best practices. Jamie and Vikki also discuss the changing role of philanthropy in driving change in collaboration with government, nonprofits and the private sector and how this can accelerate the achievement of the UN Sustainable Development Goals.